As the United Kingdom, a member state of over 40 years, opts for exit over voice and loyalty, it is opportune to address the question of EU membership and how it matters, writes Brigid Laffan. Brigid Laffan is director and professor at the Robert Schuman Centre for Advanced Studies and is also director of the Global Governance Programme, European University Institute (EUI), Florence. There are real dangers to the future cohesion of the Union if the UK is seen to benefit from exiting. The future relationship must be perceived by the remaining member states to be less attractive than membership. This is not punishment of the UK rather the consequence of opting for exit over voice. The UK should not continue to benefit from the collective exertions of the remaining states while having a free ride at the margins of the Union. This holds across all policy programmes and forms of market access that exist. Voice and loyalty are costly and so too is exit. Since its inception as a club of six states, the EU has had a magnetic attraction, in the first instance, for most countries in the western half of the continent and later for the eastern half when countries were finally free to ‘return to Europe’. Over time, 28 countries opted for the attractions of voice which in the Union means a seat at the table in a continent-wide process of collective governance. 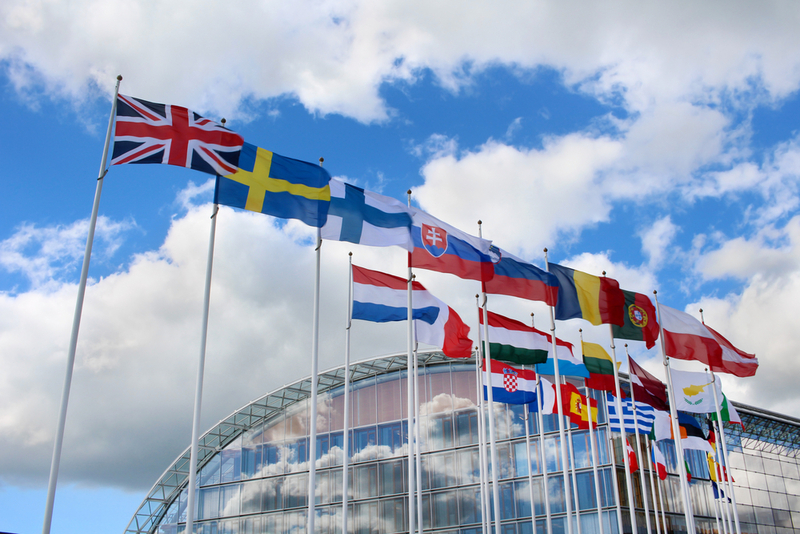 Membership of the EU cannot be reduced to membership of a traditional international organisation. EU accession transforms nation states into member states. States join their ‘partners’ in the search of a collective future. That collective future is open rather than closed as the EU is always in the process of becoming. Meetings of the European Council are marked by a family photograph of the heads of state and government. State identity is altered with the visible and aural presence of European symbols, notably the flag and anthem. Individual Europeans carry markers of shared identity such as the burgundy passport, driving licence, health card and in the Eurozone, the euro. Those markers of identity are accompanied by affective attachment; in 2015, 52% of respondents to the Eurobarometer survey saw themselves as national and European whereas the proportion of those opting for a national-only identity was 38%. Significantly, 64% of UK respondents opted for national only with national and European at 31%. The decision to become a member implies an acceptance that a state’s constitution will be augmented by treaties and European law that has within limits primacy over domestic law. Sovereignty is rendered divisible as the pooling and sharing of sovereignty supersedes formal national sovereignty. EU treaties outline the values that bind the member states together and also commit them to sincere co-operation with their partners in the Union. Membership adds additional layers and arenas to the domestic political system and its processes of public policymaking. Political actors are no longer contained within domestic processes but drawn into a system of multilevel governance across most policy fields. Over time, thousands of individual government ministers, officials, central bankers, representatives of national agencies, interest organisations and NGO’s are drawn to Brussels, Frankfurt and Strasbourg. A myriad of governmental and societal actors become Europeanised to a greater or lesser extent as the tentacles of this multi-level system reach into the domestic. Countries learn from each other given the depth of discussion and negotiation on collective problems. The opening up to each other and to their collective effort, which is a hallmark of membership, creates a mutual vulnerability that comes with complex interdependence. Member states submit to each other. All states develop national narratives about membership. They draw on history and geography to explain membership and identify the economic, political and security rationale of the choice for Europe. As an imperial power and a victor in the Second World War, the UK narrative was never as compelling as those of the defeated, the poorer peripheral and those seeking to copper fasten democracy. British political elites were never as Europeanised as those from many other member states and the British public did not warm to Europe. Hence given the opportunity, the choice of exit over voice and loyalty was always possible and it materialised with the victory of the leave campaign in June. For the other 27 member states, the UK’s decision is a rupture which will have a major impact on the future not just of the UK but the Union. How does it affect membership? It brings with it many dangers. Essentially its renders the membership of all other states more contingent and uncertain by demonstrating that a state may leave the Union. It reverses the magnetic effect of the Union and will embolden those political forces in other member states that are not just critical of the Union but deeply phobic to the project of European integration. It may trigger disintegrative forces that will be impossible to contain. The volatility of politics in mature democracies and the rise of challenger parties, most of whom are anti-EU, exacerbate this danger. There is, however, another way of looking at the UK exit and that is that it is confirmation of one of the most important and powerful elements of the EU’s DNA. That is that the EU is a Union based on voluntary membership, togetherness, not coercion, which characterised polity building through history. Article 50 provides for secession in a peaceful and non-coercive manner. Moreover, the EU has to hand considerable experience of managing and responding to deep diversity. Over time, it has developed a capacity for differentiation within the Union across policy regimes though opt-outs and opt-ins and has constitutionalised a system of enhanced co-operation which facilitates agreement among a restricted group of states. In responding to the UK, the Union has a very wide range of options available to it given the variety of its agreements with third countries but for the future of EU cohesion: membership must matter. So Brigid Laffan thinks the only way of keeping the EU together is through fear ?, it will be interesting to hear the excuses when the French people leave. The only benefits cited in this article go to the elites! For the people it’s euro project fear. If the only incentive to remain is the fear of what happens if you leave, you simply don’t have a viable offering. The problem of the EU is the level from which it is voluntary . Britain is the only country that had a referendum early on ; the people of most countries have never had a say . ” Play Ball ” and not make waves against EU laws and treaties we intensely disliked . It seems to me that by her own analysis it is clear that the UK was not fitting into the EU and as such should have been encouraged to leave or provided with an alternative membership model. Yet that was not available. But what is the future for an EU, where membership must count? We find all countries (except Denmark) obligated to join a currency that increases divergence and benefits a few but condemns the majority. (A situation which as Professor Stiglitz amply demonstrates in “The Euro and its threat to the future of Europe”) Yet their own leaders are so “Europeanised” that they refuse to take the steps to help their own people. Is it any wonder then that the new parties forming are increasingly Eurosceptic / phobic ? It could really be that membership actually doesn’t count for the ordinary person but does for the elite. Including academics in EU funded institutions. Ultimately Brexit has indeed proved that membership of the EU can be temporary. Membership of the EU does indeed mean something. It means living with a loss of democratic control. It means a one size fits all currency that impoverishes southern Europe while ensuring that German exports can soar. It means taxpayers funnelling money to Eastern Europe when there are areas of your own country that desperately need the investment. It means allowing millions of EU citizens to come and take all of the lower paid jobs, leaving your own young people and low-skilled people to a life on benefits. Europe wants the UK’s military clout, our relationship to the USA, our Intelligence expertise, easy access to one of the world’s leading financial centres. If they really want us to take our toys with us then they should listen to the author and make life difficult for us, if they want a friendly nation engaged where it is in our common interests then they had better find a way to make Brexit work for both sides.